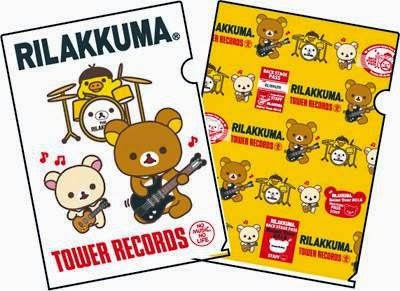 "No Music No Life" was the slogan for 2012 Rilakkuma x Tower Records 4th collaboration project. 英国風ロック British style Rock was the theme for the series. Each of the character were given music instruments but what's unique is that Kiiroitori was given a wig to wear to his performance! We love the yellow summer concert towels! In fact, we love the towels manufactured by San-X. They are made of good quality and very durable. Are you a musician or someone who plays an instrument? You can get these folders to keep your music scores. 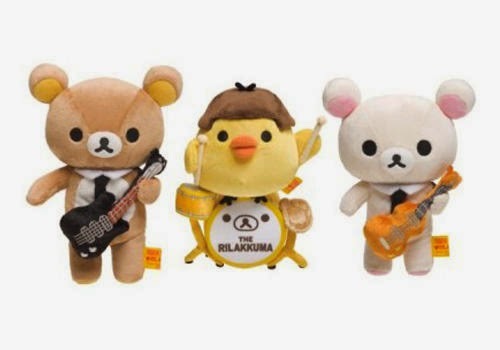 Are you a Rilakkuma plush collector? These small sized plushies were released in this project. Seriously, the look of Kiiroitori tickles way too much! It's just too cute! 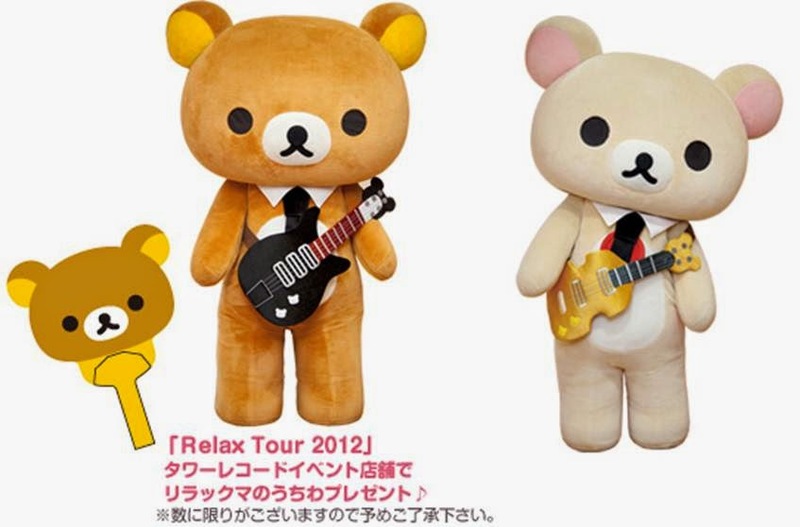 Like all other Rilakkuma or San-X events, the bears go on a Caravan Tour and this is a video on Korilakkuma. 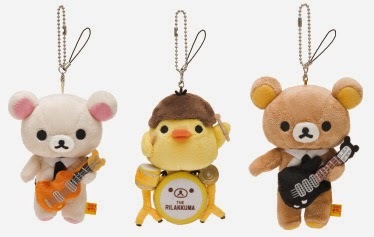 Look at how energetic Korilakkuma looks like! The way she plays and poses, makes everyone go "awwwwww".